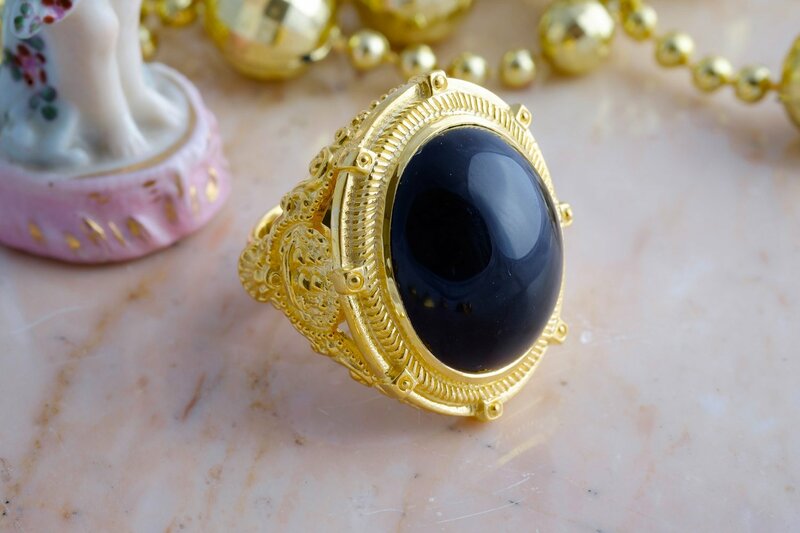 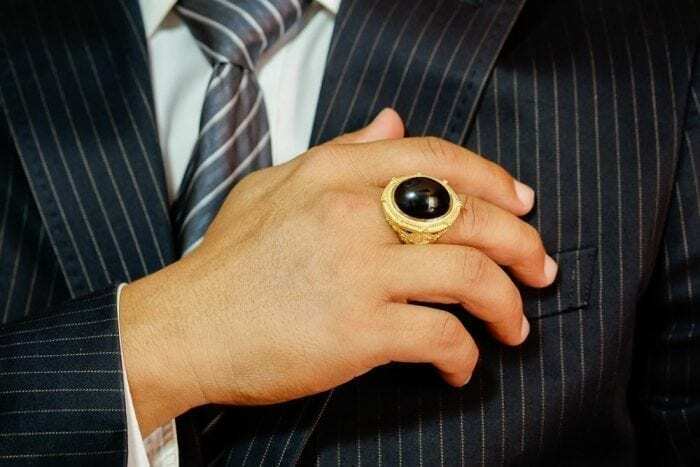 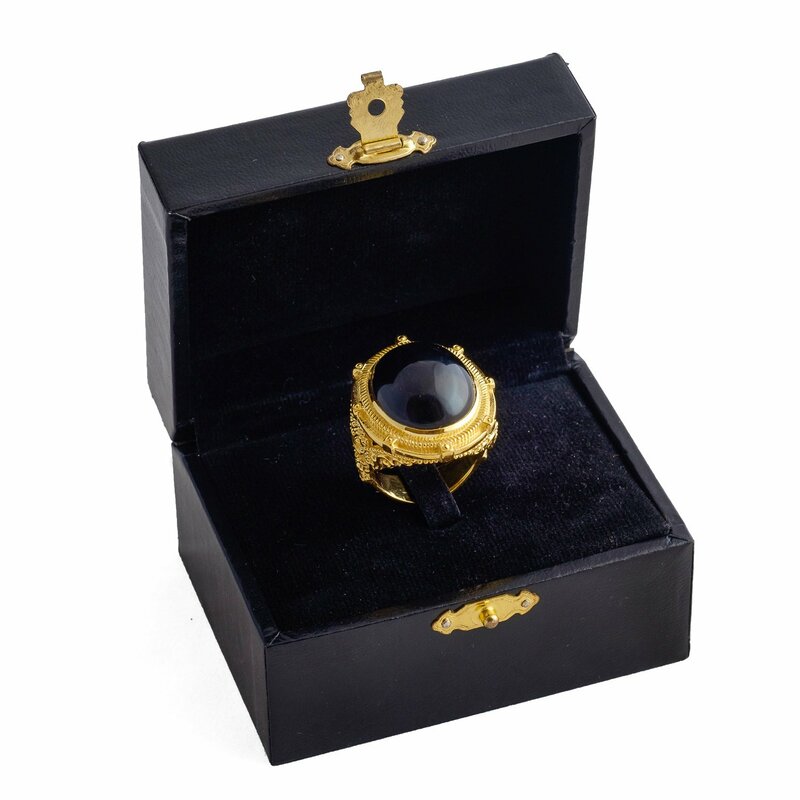 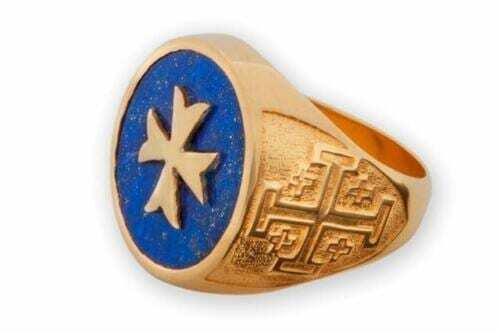 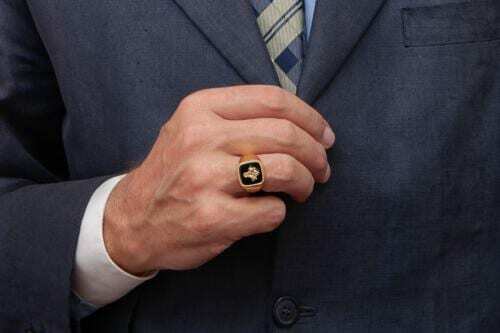 BLACK ONYX RING SUPERB CABOCHON STONE PIRATE SHIP STYLE AND GOLD PLATED (5 MICRONS 18K GOLD) STERLING SILVER RING WITH HIGH QUALITY SPECIMEN STONE SETTING. 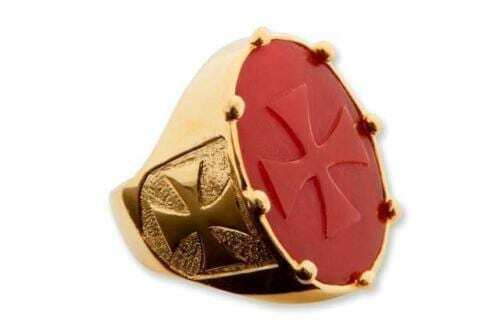 SELLING AT A BIG DISCOUNT.. 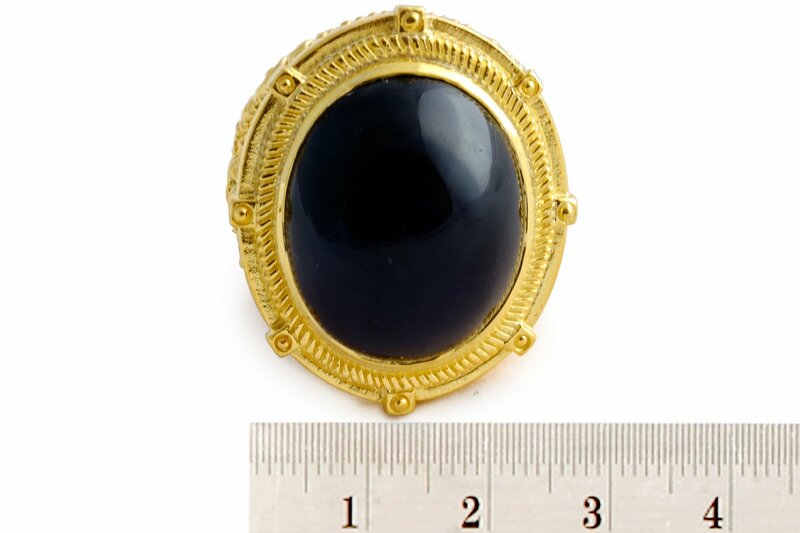 The oval cut stone is 22 x 18 mm (7/8 x 11/16 inch) medium size. 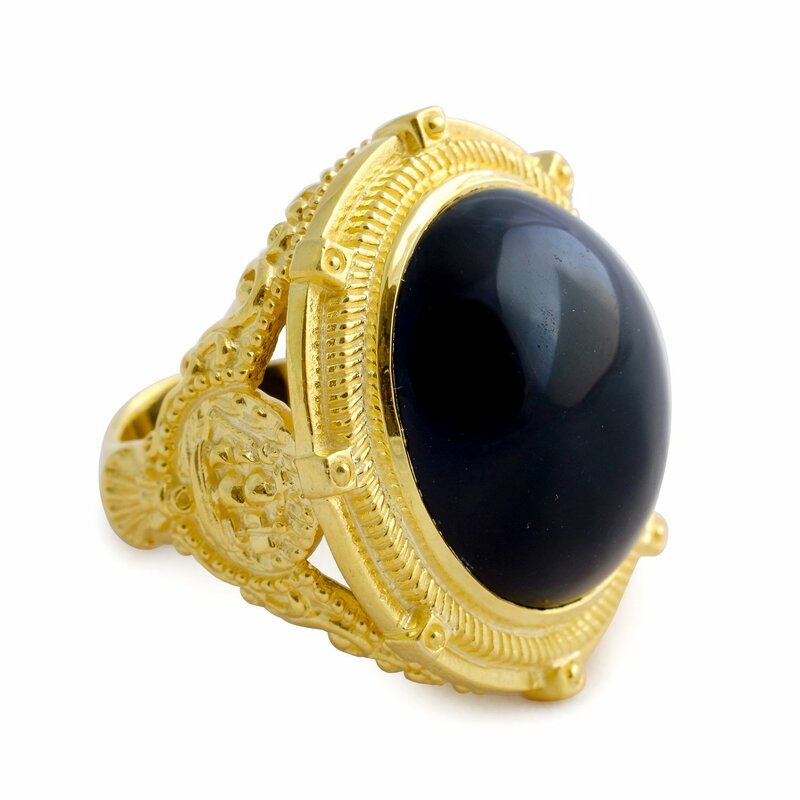 This is a large sized and very elegant black onyx unisex ring.